Paul Dunn is a highly accomplished entrepreneur, international business coach and philanthropist. During his early career, Paul was one of the first ten people to be employed by Hewlett Packard in Australia. 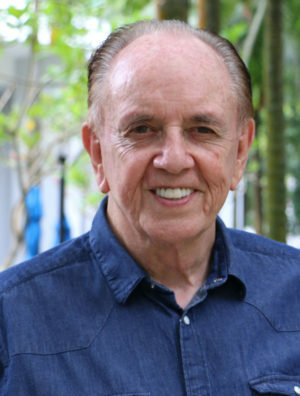 After establishing and running his own successful computer business, Paul founded The Results Corporation, which has contributed to the growth of over 20,000 small and medium scale business enterprises. More than 236,000 people now use Paul’s programs around the world. As part of The Results Corporation, Paul’s created the Accountants’ Boot Camp, a training workshop attended by close to 20,000 accountants. His book The Firm of the Future has become standard text for leading accounting businesses around the world. A Senior Fellow in one of the world’s leading think tanks, Paul holds a Lifetime Service Award from the Accounting Profession in the UK. He has been honoured as a Social Innovation Fellow in his new home of Singapore; an accolade he shares with film-star and philanthropist Jet Li and Walmart Chairman, Rob Walton. Paul continues to push the boundaries. He has been featured in Forbes Magazine alongside Sir Richard Branson in a globally distributed article on business disruptors. Today, Paul is Chairman of B1G1: Business for Good. This non-profit organisation has enabled businesses to create over 140 million giving impacts around the world. Paul was recently honoured by the peak Accounting Body in the UK as the first recipient of its ‘Outstanding Contribution to the Profession’ award. This is despite not being an accountant! A global traveller, Paul is constantly flying to his next speaking engagement. He clocks up close to 800,000 kilometres each year — and he tells us his baggage goes twice as far.